What if H.P. Lovecraft had been around in the Middle Ages? It’s likely that the crusades would have turned out very differently, as seen by these fantastic illustrations from Austrian illustrator, Robert Altbauer. 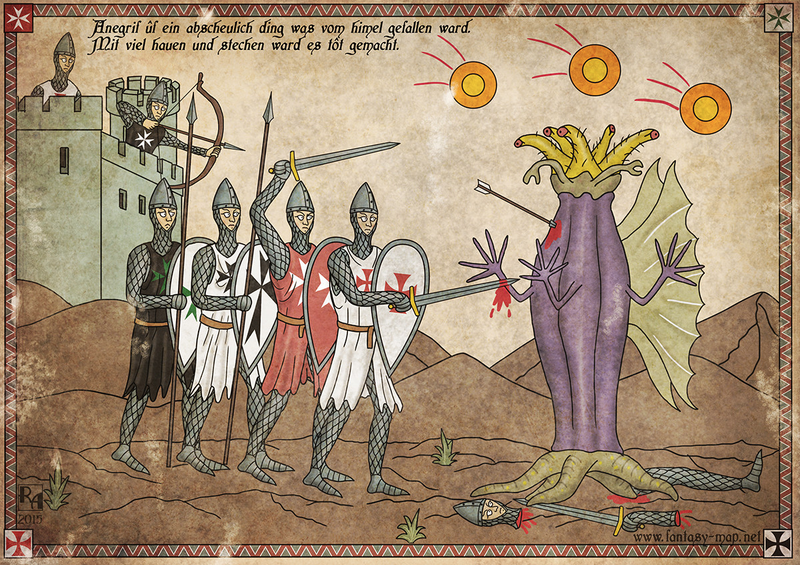 Albauer noted that he’s still at work creating more of these images, and shortly after he posted them up, he began collaborating with Alberto Cano from CthulhuProject, a company that makes games based on Lovecraft’s works. They’re currently at work creating a card game, which will be hitting kickstarter in a couple of months.